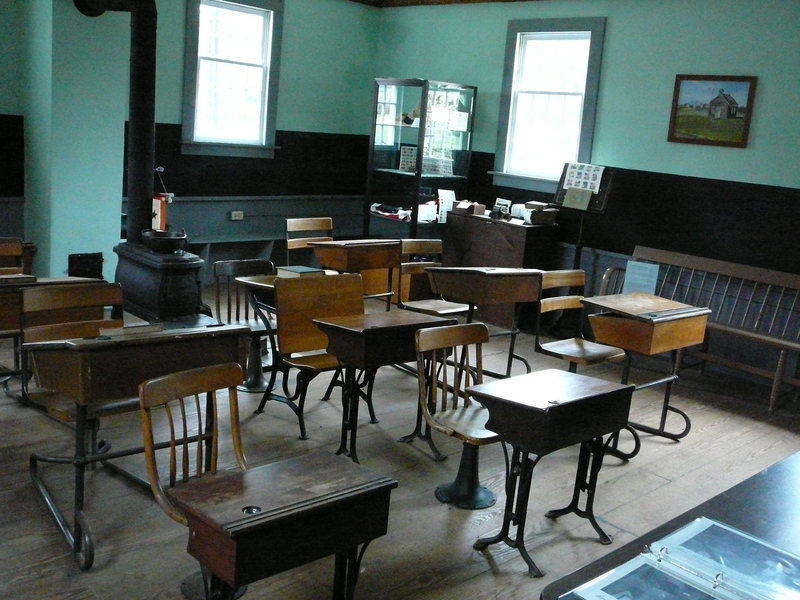 The Bell School was built in 1826 and used until the one room schools were consolidated. These were replaced by the Richmond Elementary School, which opened in 1934. In 1971 the building was moved to its present location adjacent to the Richmond Town Hall. In November 2016 the exterior of the school received a much needed face-lift. Between the school house and Town Hall is an area containing several bushes and shrubs. In the past, this was the memorial garden for the Arbutus Garden Club. Often one of our volunteers opens the school on Saturday mornings during hours for the Richmond Farmer’s Market. Additionally, we try to show off our school throughout events held in our Town such as Swamp Yankee Days. Many of the children who attended Richmond Elementary School remember the field trips across the street to the Richmond Town Hall and Bell School. Please note that our displays vary.